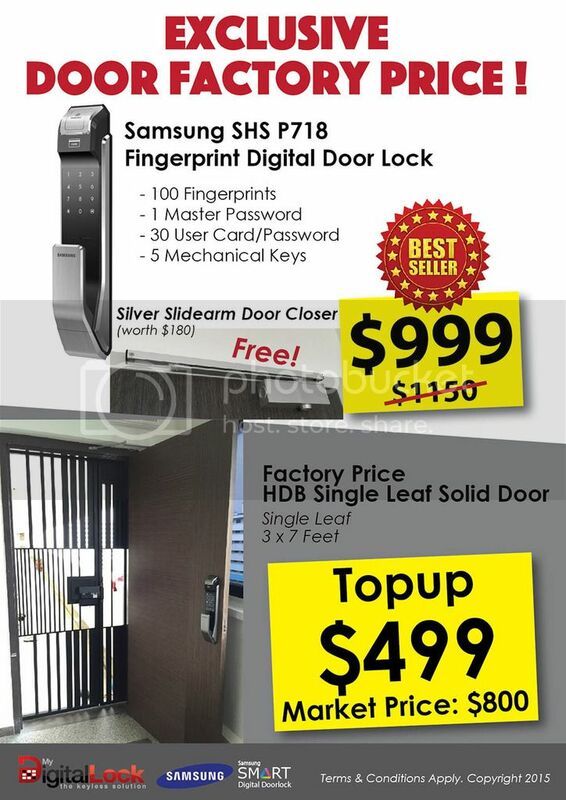 HDB 3x7 feet Veneer Main Door @ $499 FACTORY PRICE with purchase of Samsung Digital Lock P718 @ $999! Free Slide Arm Door Closer included! Installation is also included! Samsung P718 is the latest, and the only digital lock in the market that is 4-in-1. Meaning, using of fingerprints, RFID cards, pin number and mechanical key.